I was wondering if you have ever done an article outlining the importance of good vehicle data on your website? I have been building up my wish list for a new truck and consistently find a severe lack of option info on sites. I know there is only so much info that can be had from VIN decoding, and that it becomes a manual chore to get really stellar info populated. I just have to think that if you are spending all sorts of time adding content to other parts of your site to gain SEO value and sell your dealership, etc… that spending the time to add options and details about the vehicle would also be beneficial. This issue is probably more prevalent with trucks…I was curious to get your thoughts on it. I figured this would be a good one for all of us to answer and discuss. Getting inventory to properly display is a very tough process; not only because of technology (mainly DMS difficulties), but also due to internal processes. This is all especially tedious when you are dealing with multiple stores. How do you deal with things? Reviewing the Rules – Lets be Courteous, Civil and Understanding. I think it’s time to REVIEW the RULES AGAIN for commenting. There have been a few articles here lately that have run ramped with comments. As much as I would like to, I can’t possibly monitor each and every comment but I ask that we all try and play by the rules. Be open minded of others opinions and make every effort to be courteous, civil and understanding. No Slandering – especially on a personal level. If you have had a bad experience with a company or their product, please share your thoughts but keep it tasteful and give examples to back up your opinions. Do not attack guest writers, writers or commenter’s! Keep it clean and remember we are all here for the same reason (at least we should be). No anonymous posts – I admit, this one has gotten a little out of hand. If you have something to say, then it’s only fair to “show your face”. If you are a newbie, use the “Website” portion of the comments form to link to your website, Linkedin page or any other profile page that you use. Excessive Pimping or Self-promotion of a website or company will be deleted. Be supportive, offer valuable feedback to other readers. This goes way further then merely plugging yourself or someone else. Believe me, we all see right through it. Stay on Topic. The purpose of a post is to discuss that specific topic. Going off topic provides no value to other readers. If there is a topic you would like to discuss, send me an email. Take full ownership of your comments. Always re-read your comments and feedback before hitting the post button. Don’t call me 3 hours later asking if I’ll remove your comments from the thread because you said something that maybe you shouldn’t have. This is the Internet, take ownership for your actions. Optimized for Automotive Marketing: Design, placement and measurement of display advertising is optimized for the needs of automotive dealers, rather than being a generic service. Cobalt Display Marketing Specialists are automotive marketing experts. Brand Awareness: Affordable brand exposure for dealers where consumers shop online. Targeted Reach: PowerDisplay goes out and finds consumers that are currently engaged with automotive web content in the dealer’s local market. Turnkey Solution: Cobalt Display Marketing Specialists work directly with the dealer to ensure successful implementation and measurement of display advertising. Pay-for-Performance: A unique pay-for-click model means a dealer does not pay to show the ad, they pay for the traffic that advertisement brings their dealership. NADA reports that the average auto dealer spends up to 65% of their marketing budget on local broadcast media – TV, Radio and Newspaper – yet more than 80% of automotive shoppers use the Internet as their primary resource during their buying process. Until now, only automobile manufacturers and a small percentage of dealers have had the expertise and been able to afford online display advertising. PowerDisplay makes this cost-effective marketing tool available to all dealers in a turnkey service to help them save money on advertising their dealerships’ websites while reaching more active automotive shoppers. With PowerDisplay the average dealer can have a high impact, highly measurable, online advertising program for a fraction of the cost of their traditional media budget. PowerDisplay is Cobalt’s latest addition to the industry’s most comprehensive suite of dealer marketing services, including Dealer Websites, Lead Services, Search and Owner Marketing. It is fully integrated into Cobalt’s unique marketing results reporting. Cobalt dealers who embrace the company’s entire digital marketing suite not only maximize their marketing return-on-investment, they can manage their marketing pipeline from awareness through showroom visit the same way they manage their sales floor. Cobalt’s PowerDisplay service complements a dealer’s website, email and search marketing efforts by increasing the exposure of their brand early in the consumer buying cycle. As documented in a 2008 Specific Media™ study of comScore™ data, display and search work together to maximize marketing productivity. Brand-and segment-related searches (for cars, automakers and vehicle classes) jumped by more than 100% in several categories after consumers were exposed to display ads for those brands. PowerDisplay is available immediately. To learn more about PowerDisplay, please visit http://www.cobalt.com/displayads/ or call 866.200.5099. Cobalt is North America’s leading provider of automotive marketing services. For fourteen years, Cobalt’s mission has been to help automobile dealers and manufacturers increase their retailing effectiveness and profitability. Cobalt provides marketing services to half of the automotive dealerships in the United States, as well as automotive dealers in Canada and Mexico. Cobalt’s marketing services are endorsed by approximately two-thirds of the world’s major automotive manufacturers. Identification of the “Best Values” in each market – based on the difference between the dealer’s posted price for the vehicle and the Blue Book® Suggested Retail Value. A Dealer Spotlight section that showcases specific vehicles within dealers’ inventory. Dynamic presentation of the “most popular” vehicles based on 24-hour visitor activity. Greatly improved search capabilities that allow a used car shopper to precisely find their vehicle of interest. New search parameters include mileage per gallon, passenger and cargo capacity, fuel type, and more. A unique “Best Values” section that illuminates their most aggressively priced vehicles automatically, and at no extra charge to the dealer. An optional Dealer Spotlight section, available on seven high-traffic areas of the Usedcars.com site, which features vehicles of the dealer’s choosing or an automated display of older inventory that the dealer wants to sell. New tools on the Dealix Dealer Extranet allow dealers to manage which vehicles within their inventory receive extra visibility each day. Additional information, conveyed via “badges,” within inventory and search listings to identify: newly listed vehicles, just-reduced prices, vehicles from dealers with “Premier” designation, vehicles with a dealer “spotlight,” and “Best Value” pricing. Representation across the Dealix Usedcars.com Network – which includes more than 30 automotive sites, with access to over 11 million used car buyers each month. Pricing for participation in the Dealix Usedcars.com program will continue to be the pay-for-performance model that made Usedcars.com one of the fastest-growing automotive Internet sites in 2008 (pay-for-performance pricing is not available in all jurisdictions). Last year, Dealix expanded its customer base by 60% and doubled the amount of inventory those customers placed on the site. With Dealix’s pricing, dealers who use the Usedcars.com service pay only when an interested buyer submits a qualified lead – a request for information from the dealer, either through email or via phone. Because of Dealix’s innovative Phone Leads Platform 2.0, dealers only pay for phone leads that are greater than 65 seconds in length. The dealer also receives a notification of each email and phone lead, with phone lead documentation, including call detail and placement into the dealer’s CRM system. For more information on Usedcars.com and other Cobalt/Dealix offerings, please call 1-800-903-1965 or visit www.cobalt.com or www.dealix.com. Dealix, a Division of Cobalt, is the world’s leading provider of quality new and used automotive sales leads for dealerships, dealer groups and automotive manufacturers. Dealix has the broadest and highest quality lead supply network in the industry, including partnerships with AOL Autos, Edmunds, Kelly Blue Book, MSN Autos. Yahoo! Autos, and others. Dealix’s advanced quality control and routing technology matches thousands of serious new and used vehicle buyers to the most appropriate dealers daily, delivering a quality user experience while providing dealers one of the most efficient methods to sell more cars. Usedcars.com, a unit of Dealix, connects automotive shoppers with one of the nation’s largest selections of previously-owned vehicles, creating qualified sales opportunities for dealers. Unlike other used car portals Usedcars.com does not charge fixed monthly or vehicle search fees regardless of the portal’s performance. Dealers only pay for leads on their inventory, a compelling business model that has made Usedcars.com the fastest growing automotive portal on the internet. 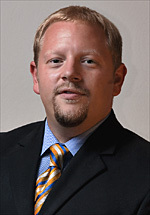 Dealer Profile Alex Snyder, Ecommerce Director, Checkered Flag Motorcar Corp.
Snyder joined the dealership on a full-time basis in 1999, after taking some time off for college, selling Isuzus and Hyundais. He took on his current role in 2004, overseeing day-to-day marketing and defining the group’s online advertising and sales processes. “I kind of feel like the utility guy on the baseball team,” he says. In addition to his day job, Snyder frequently contributes to the popular DealerRefresh.com automotive retail blog. Jeff Kershner launched the site to discuss the tactics and technology he and his internet sales colleagues use to generate business. DealerADvantage recently spoke with Snyder to learn more about Checkered Flag’s internet initiatives and how those strategies are helping to drive sales. The southern Virginia dealer group operates 10 stores representing 11 brands and records monthly sales of approximately 1,000 to 1,200 vehicles. DealerADvantage: How does online advertising fit into your media mix? Snyder: It’s a huge part. All the media works toward branding Checkered Flag.com in different ways to get people to visit it. We’ve gone a different route where, instead of delivering sales messages in our media, especially television, we use the traditional ad to push people online. We tell them if they want the deal, it’s on Checkered Flag.com. DealerADvantage: You said that your online spend is currently between one-fourth and one-third of your advertising budget. In five years, do you think it’ll be half of your budget? Snyder: Very possibly. In our marketplace, our local newspaper is still a very effective marketing tool, even though it is so much more expensive and losing its punch. We are currently making a shift toward more television, and those commercials always have a portion about Checkered Flag.com. To answer your question a little better, it is really hard to make online spending half of the ad budget when the traditional advertisements cost so much more. Sure, we could spend/waste tons of cash on less effective internet campaigns, but what is the point in that? Even with online costing less than traditional we still re-evaluate everything every quarter. If something over that three-month period has not maintained a particular closing ratio or percentage of sales, it’s cut. It doesn’t matter if we’re just pulling dollars off the money tree or if we’re in the worst recession of all time. If it isn’t performing, it goes away. DealerADvantage: When you make that determination, what are you considering? Snyder: I’m looking at a closing ratio for the most part. That is especially the case with a third-party lead. Other things I look at, like SEM spending and website performance, the decision is based on our own trends. If there’s a dip, and it’s a significant dip, it might go away. There could also be something else on the horizon that looks like it will have a better return, then that venture that isn’t performing as well may turn into the next venture. We have been fortunate to be in a position to experiment. It keeps us and our vendors on their toes. DealerADvantage: How do you manage internet sales with your internet department sales agents? Snyder: They’re the first line of communication. Some of them have the option of being able to handle a deal cradle to grave, meaning they can do the whole thing. For others, it may be dependent on what they worked out with their general manager. In those cases they may be working to just get appointments; where they bring the customer in and hand them off to a sales manager or sales agent. Then it is the traditional sales floor to consumer approach. The internet sales agent can then continue to work the internet leads and phone calls without hurting their response time. This has been the most effective way of handling things. I hope to put all of our agents into a centralized BDC again because I’m 100 percent convinced there is no better way to handle internet leads and phone calls than through a completely dedicated BDC operation. DealerADvantage: What is your process to manage a lead from the time you receive it until you sell the car? We have a very robust CRM tool that affords us the ability to simply watch a screen all day to see if the internet sales agent is getting the job done. With one click, we can read all the inbound and outbound emails to make sure the message is correct; one glance will tell us whether the calls are being made. I actually spend more time watching the sales managers to see if they’re at least paying attention to what is happening with the internet leads. They’re involvement is crucial. DealerADvantage: How long do you maintain that active follow-up? At what point do you hand prospects off to the quarterly newsletter? Snyder: Well, again, it depends on the store. We have some customers who are hunters and other people who are farmers. The more expensive the car, the more farmers you have. The less expensive the car, the more hunters you have. So with the luxury brands, we typically go out to about half a year. With the volume brands, the less expensive ones we typically go out a little more than three months. However, this is all changing now. With consumers holding off on their purchases, it almost seems like we need to add another three to six months to each follow-up process. DealerADvantage: Are the same tactics working with prospects, or are you just being more persistent in staying in contact with them? Snyder: Well, it’s a totally different ball game right now. It’s a different customer. It’s still an emotional purchase to buy a vehicle, but it’s not as emotional as it used to be. Sales agents are geared to play on emotions, and right now the customer is much more logical than usual. There are so many people who want to buy a car right now, but they’re holding off due to uncertainty and the fact that the car we sold them a year or two ago is still running well. The ones who do have that older car that’s dying or have just been in an accident – or who knows what – who might have stepped up to the 5-Series BMW just because times are good and they can do it, they’re taking a step back and maybe looking at the Toyota Camry. They’re being more rational in their purchasing decision; while it’s still a lot about who you like and trust, the money is a much larger factor than it’s ever been before. DealerADvantage: In this economy, do you have the sense that the leads you’re getting are serious, ready-to-buy shoppers? Snyder: When I first started selling cars, I had a used-car manager who used to always yell, “This ain’t no bus stop” when a customer was not being approached by a sales agent. The funny part was that there was a bus stop in front of that store, and quite a few people would wonder on the lot while waiting for the bus, but that’s beside the point. I learned a valuable lesson from those “This ain’t no bus stop” shouts, and that was that everyone is serious. I don’t buy into lead scoring or those FICO-scoring services that try to rate every lead. Somebody does not contact a dealership unless they are seriously thinking about buying a car. We should work with everyone and get them into our showrooms – and that is especially the case in this economy. DealerADvantage: What do you wish you knew when you started your current role? Snyder: I got into my current role in 2004, but I was actually handling some things on CheckeredFlag.com as far back as 2001. I wish I knew more about the dynamics of search engines back then. Even though they weren’t utilized nearly as much it would have been nice to have picked up some extra URLs or embedded our own URL in a few places for indexing today. There are a lot of positioning things I could have set up then that would have paid off a lot better today. DealerADvantage: What are you doing with social media? Snyder: We have a blog; that’s a huge and essential part of our website, and we push those postings to Twitter. I’ve got a few employees who are doing some various things on other places like Facebook, MySpace and what-not. Personally, my favorite focus has been the car enthusiast forums. There are so many social media outlets that it is difficult to keep up with everything. It isn’t as if you can just setup a page and leave it alone – you have to stay with it. I just try to stick to the things I like. DealerADvantage: So you’ve been leveraging your personal brand to drive car enthusiasts to your site? Snyder: Actually, when they come off the forums, it’s not usually to the site. It’s straight to a phone call or a personal message on the forums that turns into an email or a phone call straight to the person they’ve been talking to on the forums. Checkered Flag.com usually gets bypassed on those occasions unless we tell that person to check a car out there. DealerADvantage: How do you manage profitability with your internet customers? Snyder: It’s really left in the hands of the sales floor, and I think we’re going to need to change that strategy. I think that we used to be very good at building a lot of rapport over the phone, through email and just doing a better job than the other guys in that area. I think that the game has changed. I think it’s changed in the past three months to be more of “I’ll buy from the devil if the price is right.” It’s happening a lot more, so we’re trying to re-strategize, right this second, to handle that kind of customer. DealerADvantage: What are you doing with online reputation management? Snyder: Watching it like a hawk. I’ve got a few different things set up that monitor various items on a daily basis. We respond based on where the review is. If it’s on a forum or a blog, then we sign up to go in and speak the truth and say we’re sorry – whether we’re wrong or right. The hardest thing in life to manage is another person’s perception. Perception drives everything when it comes to humans and how we interact. If somebody has a particular perception of you, it’s really hard to change that. Sometimes you’ve got to come in and just admit defeat and move on. I think other people look at you as a better person if you do that. “Sorry” is always a good start. DealerADvantage: What are some of the trends you’re seeing in online automotive? Snyder: Video’s obviously popping up big time, and I think it’s going to be taken more seriously very soon. It will become a bigger part of the ad budget and start finding a marriage with television commercials too. I see a combination of televisions and computers in our households in the not-too-distant future that will really provide some new marketing opportunities. I think there will also be more marriages between video and dealership technology tools as well. I think CRM will stop being looked at as an automatic calendar for sales agents and more of a marketing tool. I also think – at least I’m hoping – that somebody will come out with some sort of DMS technology that will really marry all these things together and bring all the departments into one basket. We all need every department of the dealership to pass the same congruent message to the consumer – we are one company; not competing departments. DealerADvantage: With that idea in mind are you making greater use of your customer database to drive business in the current slowdown? Snyder: The biggest push is follow-up and more follow-up. Without the same number of people walking in the door, our sales agents are doing a much better job with follow-up and mining the database. Those things that just used to get lip service are now reality, and I’m loving that. We are doing things to push our CRM vendor to build better tools, and it has done a fairly decent job of responding so far. I just hope it keeps pushing as hard as we are. I guess I can say that same thing for all the vendors we are still partnered with. To get back to your question: We are hesitant to get crazy with email blasts that push unbelievable deals. Because the media has done such a great job of spreading the message that the auto business is in desperate distress – remind me to thank them for that again – we are doing all we can to battle that perception. Things aren’t what they were, but if you start showing distress to the public, they’ll think you’re distressed for years to come. I’m watching a few other dealerships that are doing some things that add to that distressed perception, and I think it is wrong. It is a very difficult perception to shake. We live in a month-to-month business, but now is the time we have to be thinking harder about the future. Now is the time for strategic positioning. Marketing at Cambria Automobiles Holdings Ltd. “but we could never have anticipated the magnitude of the business benefits derived from adding live chat to our websites including, most notably, increased sales that are the direct result of making our associates more accessible to in-market car shoppers.” Cambria has documented results showing that 50% of consumers who initially contact a dealership via chat will ultimately go on to supply their full contact details and visit the dealership. Besides Cambria’s own websites, the Cambria dealerships also benefit from the same ContactAtOnce!- powered live chat software that is licensed by and deployed on third-party automotive websites such as www.motors.co.uk and www.vansunited.co.uk. Trader and Dealer.com have signed a long-term, exclusive commercial agreement making Dealer.com’s web solutions available to Trader’s extensive customer base in Canada served under its AutoTrader™ brand. Concurrent with the commercial agreement, Trader will also take a 20 per cent equity interest in Dealer.com for US$ 35 million, with the option to increase its ownership in the privately held company over time. Dealer.com is the leading provider of online marketing solutions to the US vehicle industry including website development and management, as well as search engine marketing and optimization. It has a client base of approximately 8,000 dealers representing one-third of the new car dealerships in the United States. Trader is already the undisputed leader in Canada through its number one AutoTrader.ca™ online car destination. Dealer.com’s best-in-class technology will strengthen Trader’s existing offering by providing complementary capabilities in the dealer services value chain, such as web site development and management. Dealer.com’s products will include a French-language solution. The deployment of Dealer.com’s technology to Trader’s network of Canadian dealers will start in the second quarter of 2009. Alexander Capital Group and TD Securities Inc. advised Trader on the strategic agreement and investment in Dealer.com. Trader Corporation is a Canadian leader in print and online vertical media with approximately 200 publications and 20 web sites covering four product verticals: automotive, real estate, general merchandise and employment. Its main brands include Auto Trader™, Auto Hebdo™, The Bargain Finder™, Buy & Sell™, Renters News™, and Home Renter’s Guide™. Trader Corporation is owned by Yellow Pages Income Fund (TSX: YLO.UN). For more information about Trader Corporation, visit www.tradercorporation.com. HomeNet, Inc. has released a new pricing analysis tool, as part of the latest upgrade to the automotive technology provider’s popular Inventory Online (IOL) Vehicle Marketing Suite. The new feature will equip dealers with the ability to obtain real-time pricing information for their online inventory, based on HomeNet’s extensive database of more than 2.5 million vehicles. Dealers will be able to take advantage of this upgrade immediately, as part of their IOL Pro subscription. The system evaluates pricing for a particular vehicle, comparing it to similar vehicles on a local or national basis. Advanced features permit users to refine the results even further, based on dealer-defined parameters. An interactive graph displays the system’s final analysis, clearly outlining where the dealer’s price point ranks in comparison to the competition. Furthermore, the tool provides trend analysis to help dealers better predict future pricing changes. For more information regarding the pricing analysis tool, dealers should contact the HomeNet Sales Team at [email protected] or 877-738-3313. HomeNet’s proprietary Get. Edit. Deliver. technology distributes enhanced vehicle inventory data for thousands of automotive dealers throughout the United States and Canada. HomeNet’s signature solution, the Inventory Online (IOL) Marketing Suite, is an industry-leading vehicle inventory management and marketing system. IOL’s suite of web-based applications helps dealers to efficiently manage their entire online inventory from one centralized location and distribute emotional vehicle advertisements to any online destination. The IOL system also streamlines the inventory aggregation and enhancement process, enabling vendors to better focus on lead generation for their dealership customers and not inventory management/support. As one of the most respected data aggregators in the industry, HomeNet has built successful partnerships with dozens of leading automotive companies. IOL currently processes more than 2.5 million vehicles each day for over 15,000 dealership locations. HomeNet, Inc. is a privately owned automotive technology provider. Founded in 1996, HomeNet’s core focus is providing innovative technology solutions to help automotive dealers increase online sales. HomeNet offers its products to a variety of customers including dealers, OEMs, website providers, CRM providers, digital lot management firms, finance/leasing agents, auction agents, and more. The company is based on Christian principles and is headquartered in West Chester, PA, with satellite offices in AZ, FL, GA, IA, IL, TX, and UT. For more information, please visit www.homenetinc.com.